Okeechobee Adventures offers exciting alligator hunts that are open to residents and non-residents. Gator hunts run from August 15th – November 1st. Captain Eddie can take you to fill your own tags or supply tags for your hunt. 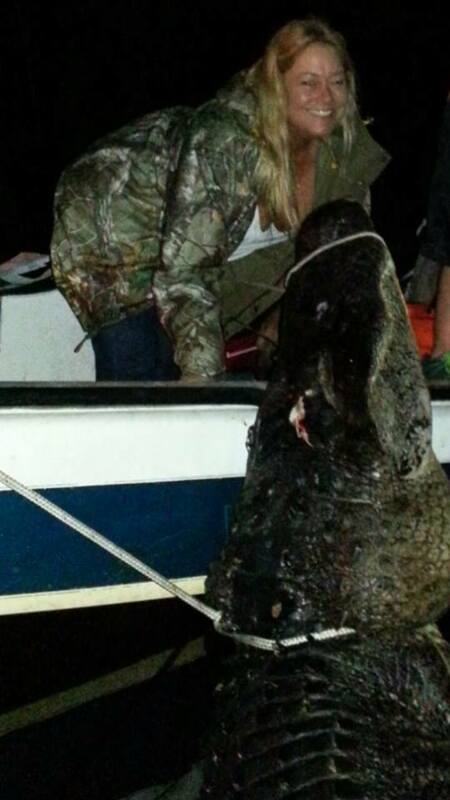 If you want to trophy hunt or just catch good eating size gators, he can handle it. On a trophy hunt, we are looking for Gators that are nine feet and up. These hunts are for up to four nights. Capt Eddie has done trophy hunts for ten years and has a very high success rate. After all, hunting and fishing is his full time job! How cool is that?! Give Captain Eddie a call for pricing and to set up your hunt today!